Adelante! Don’t miss these fantastic offers! 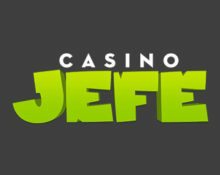 Last week of November is upon us and you can look forward to some awesome deals at Casino Jefe, just before the Christmas festivities begin. Try the exciting new Netent slot Warlords: Crystals of Power™ with some Free Spins on the house, no deposited needed. And there will be more Free Spins the next day when you deposit. Not yet joined Jefe? Then sign-up now and enjoy their Welcome Package, starting with 11 Free Spins on Spinata Grande, no deposit required and winnings have no wagering requirement. Estupendo! All new players from Sweden making their first deposit today will receive their money back as a bonus, up to SEK 1,000, if they don’t manage to win with the first deposit. First deposit bonus can be combined with this offer. Risk free Bonus will be credited on the following day before 12:00 CET. Stay on as a loyal player and Jefe himself will reward you with regular promotions, Free Spins, Reload Bonuses and Spins on his mighty Jackpot Wheel loaded with great prizes and a €5,000 Jackpot! Players on Jeve Level 4 or higher are treated to a very unique Support Guarantee. The casino will credit 10€ real money to the player’s account if Live Chat waiting time or E-mail replies during opening hours exceeds 15 minutes. How cool is that! Casino Jefe – Specials for March 2019! 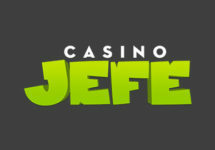 Casino Jefe – Specials for January 2019! 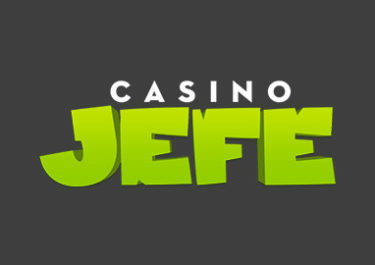 Casino Jefe – Noviembre 2018 Especiales!